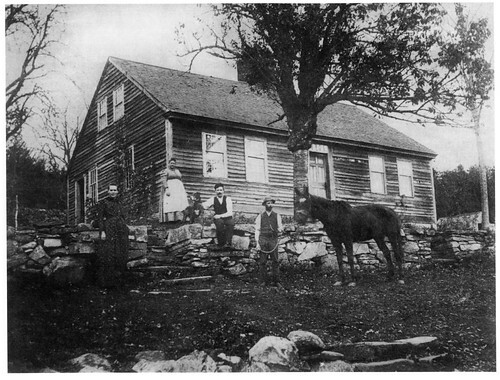 Do you know what this house is or where it was located? The house, which is built out of wood, is no longer standing. 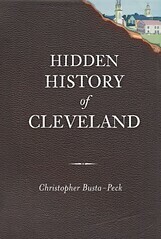 It was in an area that is now the city of Cleveland. Quarrying stone was very labor-intensive work. Thus, you would only have walls and terraces made of stone in a place where there was a stone outcropping. Think about the various stream valleys that have been filled in - look at the 1858 Hopkins map of Cuyahoga County for a good idea what they might be. Is it a Shaker house, near a Mill, in what is now Shaker Heights? it looks similar to the one you talked about on Buckeye and E 108.
or is it the oldest stone house in lakewood?? I've updated the post to include a few clues. Was recently driving on Canal near Hillside & Tinker's Creek. Know there was Bedford Shale not far off. Maybe house was in Tinker's Creek watershed in vicinity of Bedford Reservation. Well, What was the answer? I am a late comer to this site, and although the answer may have been given already,(I do not see it posted) my guess is that this is the house that stood on the north side of Aetna Road in Slavic Village until the late 1990's. If it was not this house, then it was very close in design, built with hand hewn post and beam construction around a central fireplace and chimney. The house was purchased and razed by Third Federal Savings in order to remove some of the blight around their campus. The site remains a vacant lot.